This property is 2 minutes walk from the beach. 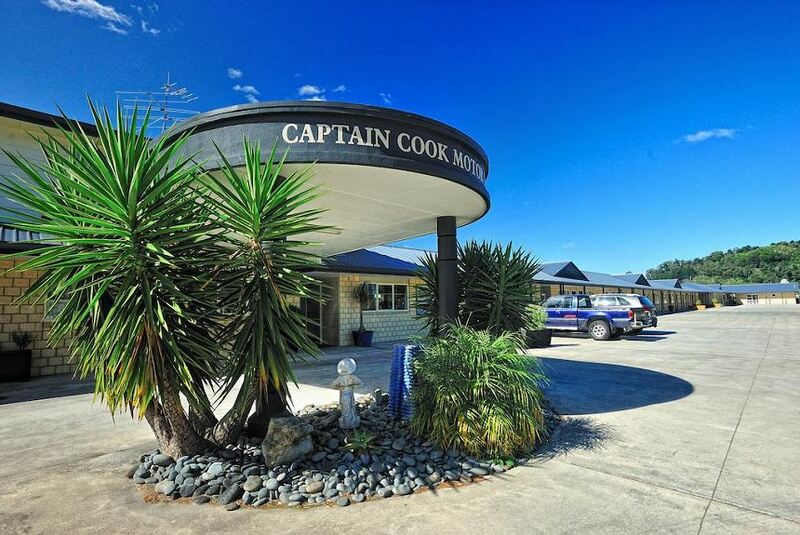 Captain Cook Motor Lodge offers modern ground-floor studios and apartments with free Wi-Fi access. Free on-site parking is available. All rooms offer a TV with over 50 cable channels. The studios and apartments at Captain Cook feature a private bathroom, dining area and satellite TV. Tea/coffee making facilities and a fridge are included. Select rooms offer a spa bath and a kitchenette. Navigator Restaurant serves local seafood and home-style meals. Open for breakfast and dinner Monday through Friday. Captain Cook provides free daily newspapers, a self-service laundry facility and a tour desk. The motel is a 10-minute walk from Gisborne City Centre and a 5-minute drive from Poverty Bay Golf Club. It is within a 10-minute drive of Gisborne Airport, Titirangi Domain and a 5 minute walk to Waikanae Beach, a popular surfing destination.